Designed as the flagship of the company's lineup, the Les Baer Premier II 1911 is built as one of the best single-stack guns made in the US today, giving consumers an opportunity to have a hand-built and hand-finished gun guaranteed to produce amazing accuracy. Each Les Baer Premier II 1911 is built with a range of high-end features, such as a double-serrated slide National Match slide and barrel, low-mount adjustable sights, and a speed trigger built with a clean-breaking 4-pound trigger. The gun is loaded with specially designed Les Baer components, such as an extended ejector, checkered slide stop, deluxe hammer and sear and beavertail grip safety. 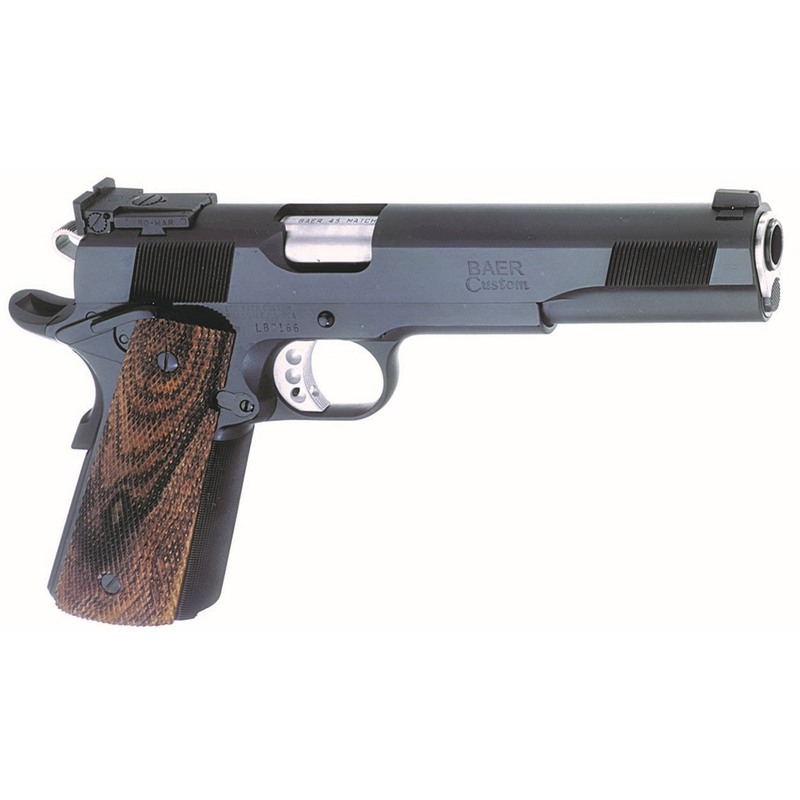 Each Les Baer Premier II 1911 is guaranteed to shoot at 3-inch group at 50 yards and is a favorite among IPSC competition-pistol shooters.